Christmas is our favorite season...and it lasts longer in our house than probably any other house on earth. 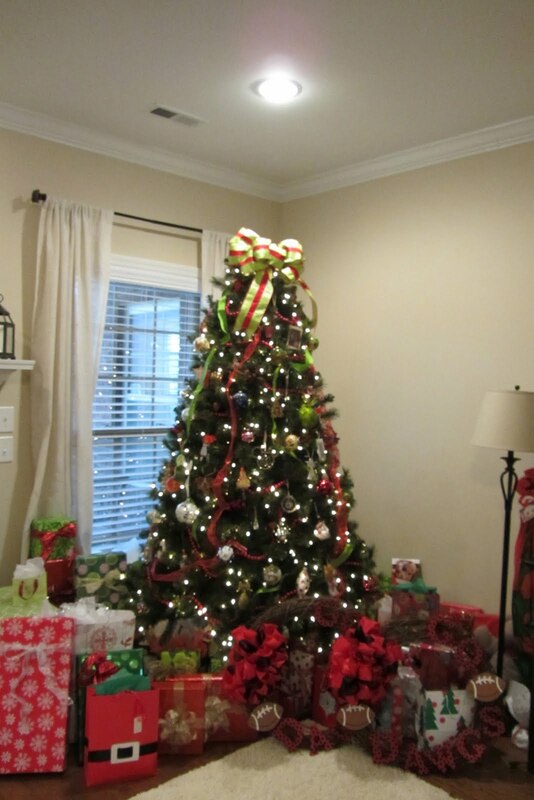 Our tree generally goes up in early November and stays up through new years. Don't call us crazy...we just want to savor everything that the Christmas season has to offer. This year we planned a tacky christmas party and cookie swap with our church life group. It was such fun...I wish I had taken more pictures of us in our tacky attire...think red vest with trees and teddy bears and a musical tie. 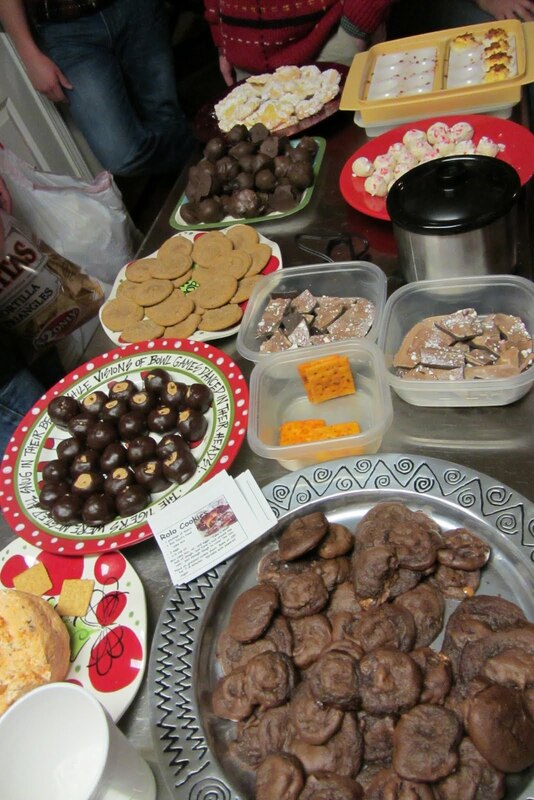 But here is a picture of the cookie spread. Lucky for us, our life group is full of awesome bakers. Christmas Eve Eve: 2 days before Christmas, for the last couple of years, we have had dinner and opened presentas at my grandmothers. This year we had a wonderful dinner of King Ranch Casserole from Victorias. We opened presents and then helped her get the last minute things in order for my Aunt, Uncle and cousins from Texas to arrive. Spending time with family is one of the best things about the holidays. And this christmas was extra special because we had more family around. My Aunt Karen, Uncle Randy and their 4 girls came in and spent a whole week with us in Huntsville. It was a great getting to spend time with them. 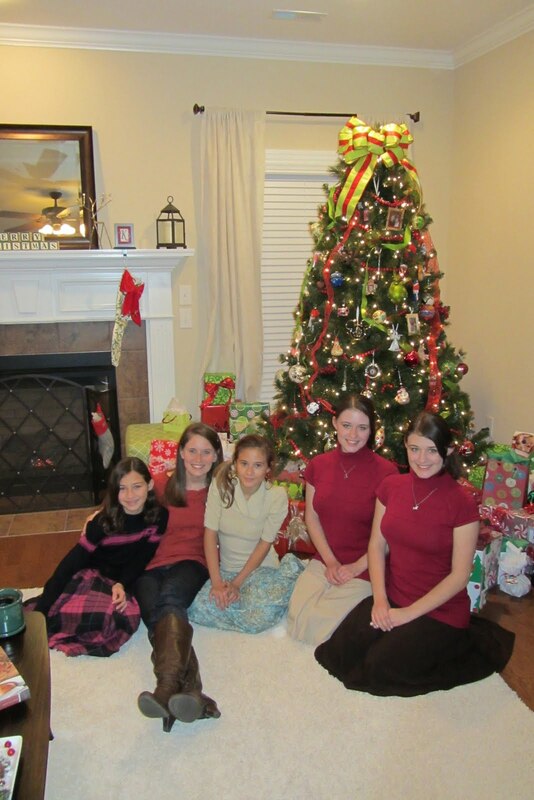 This is one very rare instance captured on camera...grandma with all 5 of her granddaughters. Me and my four sweet cousins.